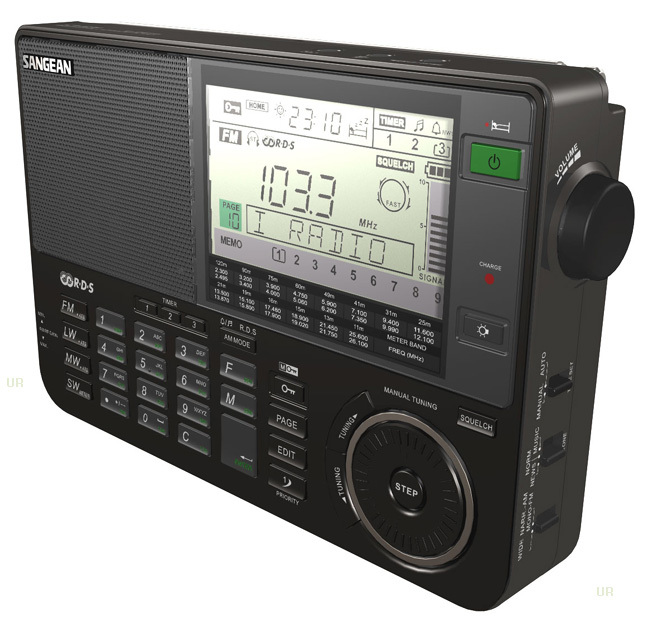 In Spring 2011 Sangean released a much-awaited update of their flagship ATS-909 multi-band portable radio, dubbed the ATS-909X. Although the new model’s number is similar, the radio is a major re-design inside and out. There is some DSP (Digital Signal processing) going on but exactly which circuits utilize DSP and the extent of its function have not been made clear. It’s not a matter of big concern to most users who will rate a radio on its overall performance and that is my strategy…when and if I get more substantive information as to what extent DSP is deployed in the 909X I will report it here. Before we look at the new model, a bit of history. The original ATS-909 (and identical Radio Shack DX-398) was available for many years. It earned a reputation for solid construction, good features, and as a good desktop replacement when used with its AC power supply and an external antenna. If it had any weaknesses they were somewhat lower RF sensitivity with built-in antennas than competing radios and slightly muddy (dull) audio. The SW sensitivity issue on SW was eventually found to be a mismatch between the whip antenna and the RF input which could be remedied by intrepid “modders” with the installation of a tiny balun…I saw one such modified unit and I can attest to its greatly increased SW sensitivity. The speaker could also be replaced with a wider-range unit and the result was a radio that vastly outperformed the stock unit. But even without the mods the original ATS-909 was a reliable workhorse that enjoyed a strong following. So it was with much anticipation that I awaited the arrival of the new 909X. 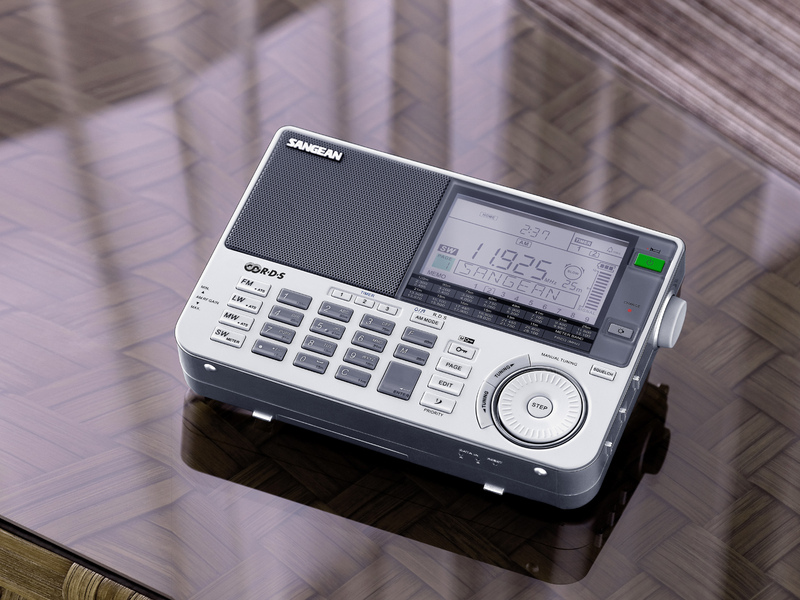 The radio is a visual pleaser – it seems to be manufactured to high quality standards compared with many current models, and is now available in white or black. The Great 909 Debate: The new ATS-909X appears to be as polarizing as the original ATS-909 was. If you read my initial review from Spring 2011 you know I was somewhat disappointed with the radio in a few areas. The muddy sound on AM and SW was improved, the FM tuner was phenomenal, but the AM and SW reception with built-in antennas (which I think is crucial for any portable that claims to be portable) was still mediocre. I wouldn’t characterize it as “deaf”, just less hot than other mid-sized radios I side-by-sided it with. However as I read user comments on the internet I began to see that several owners feel these issues are not present in their 909X’s…that perhaps mine was a defective sample (I doubt that as I had three of them to compare), or that manufacturing tweaks had been incorporated which improved performance… something that is very common in manufacturing today. I therefore decided to take a new look at some samples from recent production. Again I was lucky to have three samples at my disposal: One was one of the original white units I tested last year which belongs to a friend of mine, another one in black just bought by another friend, and finally another black sample from recent production graciously loaned to me by Fred Osterman at Universal-Radio. After several weeks of painstaking side-by-side comparisons among several ATS-909X’s and several other portable radios I have finally arrived at some interesting conclusions as to why some people think the Sangean is as sensitive as any other portable while others still feel that sensitivity is a weak point. I will explain as we go along. Dimensions (W x H x D): 200 x 133 x 38.2mm/7.9 x 5.3 x 1.5 in. First I’ll tell you there has been at least one change made which will affect users differently depending on their preferences. Both of the new units sounded considerably less crisp (less treble) than the original white 909X…this difference only affects AM and SW in Wide filter mode…my assumption therefore is that the wide filter has been changed to a slightly narrower one. In Narrow AM/SW mode and on FM they sounded identical. Although I prefer crisper audio with a wider bandwidth option to help good signals sound as clear and crisp as possible, the narrower filter did reduce the apparent noisiness of weaker signals. I had also noted on the original model some hets on a few AM signals (a typical result of DSP processing which seems to afflict AM but not SW nor FM in radios that employ DSP)…these hets were either lessened or at least rendered less noticeable on both of the newer samples. Note: It is not necessary that the DSP even be employed in the AM circuits to cause this…it could be used in any circuit but still radiate spurious interference within the radio affecting AM reception). Comparing AM/SW reception on the newest versus original ATS-909X’s, the actual reception seemed pretty much identical, but the newer version seemed a bit less noisy due to the narrower wide filter, and I’ve got to say that although I missed the greater clarity of the original version, the new one was very listenable with marginal signals…I think many people will prefer this latest version in this regard, especially when listening to weak, noisy signals. Overall its AM was generally more pleasing than the AM on the Tecsun PL-660…the Sangean had subtle whines (hets) on several weaker AM stations but the PL-660 was hissier and noisier in general on AM. You can however get better AM reception for less money with the new small Eton Satellit, a Degen DE-1103 or the now discontinued Eton E5/Grundig G5 radios. SW Performance: OK. Since the original ATS-909 and continuing now with the ATS-909X there is considerable controversy and difference of opinion about the Sangean’s sensitivity…more so than with most models which generally achieve somewhat of a consensus within the radio community. Why is the 909 series so polarizing? There are a few reasons. First, it turns out that the Sangean has an unusual sensitivity curve when compared with many of the competing radios available including the small Eton Satellit, PL-660 and DE-1103. The very weakest signals, ones which are barely receivable on the other radios, are often completely missing on the ATS-909X…it just doesn’t receive them at all. If you quickly compare just a few trace signals you will come away thinking the 909X is deaf compared with other radios. Yet if the signal strength increases just a bit you reach a point where it not only appears on the Sangean but sometimes it actually seems to come in better than on some of the other radios. After tabulating the results of dozens of signals of varying signal levels I found many trace signals which the Sangean could not receive which were audible on the competitors, but I also found some slightly stronger signals which were more listenable on the Sangean. 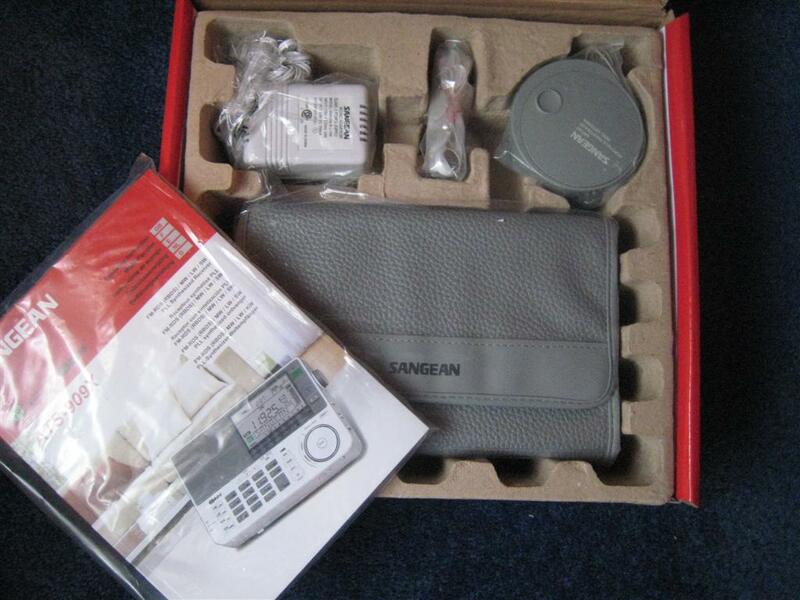 This was partly due to the fact that the Sangean has a much mellower sound quality than the smaller, $100 – $150 radios. The same was true when comparing the radios with a 23 foot reel-up wire antenna…all the radios showed substantial improvement but the sensitivity curves seemed to remain constant…the Sangean is not best at digging faint traces of signals out of the mud but is very pleasant to listen to on many slightly stronger signals. The PL-660, which costs considerably less essentially matches the ATS-909X on SW overall but they are as different as night and day. The PL-660 has very crisp audio which is great for better signals, and it has synchronous detection which works very well and is a great tool for helping some problem signals yet on many medium strength signals the ATS-909X makes the listening experience more noise-free and forgiving. I can’t say one is better than the other…but they surely are different. FM: FM reception s superb…about as good as it gets in a portable, and the RDS feature is a real boon to FM fans. . I compared it with my best FM portables and none beat the ATS-909X for FM reception. Sound on FM is a bit bright for my tastes though. Ergonomics: There are just a few minor nits one can pick (as with any radio) but they are not serious. The ATS-909X requires two additional button presses to directly enter a frequency, and it also requires very firm presses of its buttons. The volume knob seems a little too tight for its size and tapered shape. The RF gain control is small and being recessed on the side, not as easy as some to use. There is no display status to indicate wide or narrow filter modes. Some have complained about the tuning spinner but I like its feel. The Fast/Slow button at its center and the Up/Down buttons at its edge are very easy to use. I have also always liked the Priority Button on these Sangeans where your favorite station can be accessed with a single button press. The display is large and bright…the signal level meter shows good detail and does not over-read as on many radios. There is also an adjustable Squelch function which acts as inter-station muting. My only complaint about it is that it is adjustable only in steps rather than continuously and the first step raises the threshold high enough to keep you from hearing many faint signals you might otherwise be interested in. I did all of my tests with the Squelch off. However, if you are using an external antenna with much stronger signal levels you will have a more useful adjustment range and it can be of greater value. It is also useful if you want to blank out all the weaker signals and noises and only receive strong signals, such as when you are looking for local signals in an unfamiliar area. 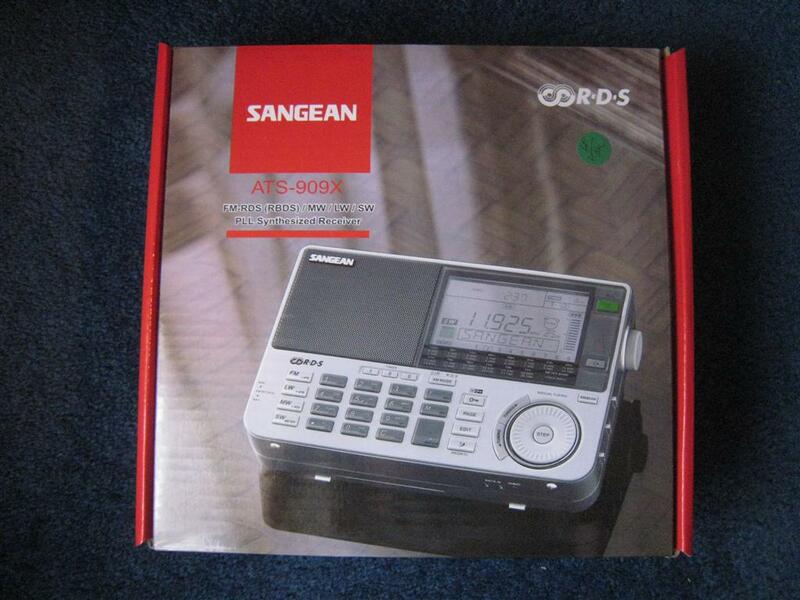 SSB: The Sangean provided good SSB reception and was fairly easy to tune. Some have criticized the SSB arrangement on the 909X…the fine tuning is in 40Hz steps which is decent for SSB but not ideal, especially without a separate continuously variable BFO knob. Still I was able to easily tune several SSB signals and achieve good results. Maybe this is not ideal for seriously dedicated SSB listeners but I found it to work well. Conclusion: The ATS-909X is an interesting radio with a relatively unique personality. On one hand it offers excellent build quality and unit to unit consistency compared with many current models. Its alpha tagging is an undeniable benefit for serious SW listeners. Its superb FM reception with RDS are great assets for FM users. Its Aux Antenna input jack works for SW and AM which is a real benefit for antenna enthusiasts. On the other hand I could wish for slightly crisper audio in the wide bandwidth mode for better fidelity with good AM and SW signals, as well as slightly better low level signal sensitivity on AM and SW as well as freedom from low level hets on AM, all for best reception when it is used with its built-in antennas. If it also had synchronous detection (which it seems it should at this price point), the PL-660 would have few areas of superiority over it other than down and dirty SW sensitivity to very faint signals. 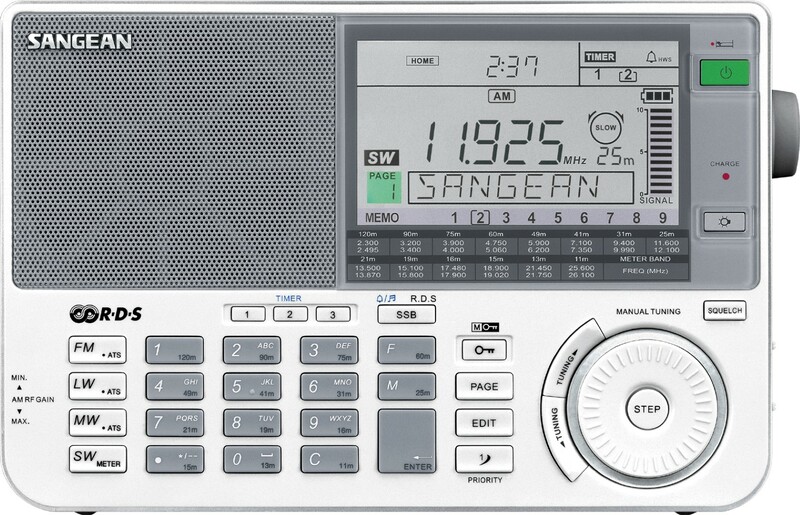 So some people will come away feeling that the Sangean is a nice radio but not a great value compared with the much less expensive DE-1103 and PL-660 but it does offer some advantages over those radios as well. Overall the ATS-909X is a solid performer and if it follows the tradition of the original 909 it should be available for several years to come.